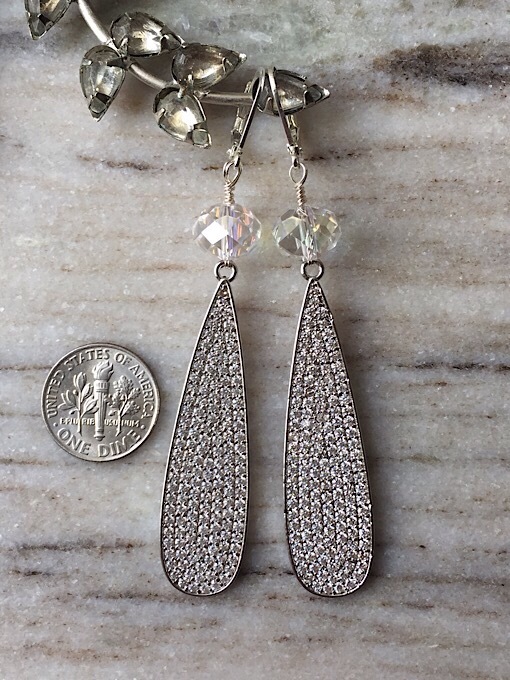 I know my ears will be wearing these for the holidays These beauties are 3 inches in length. 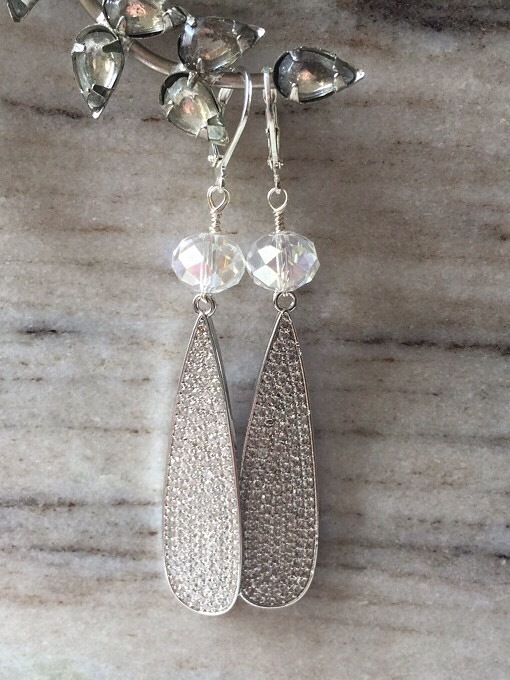 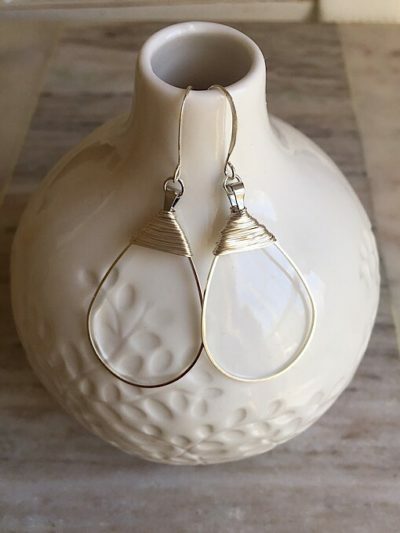 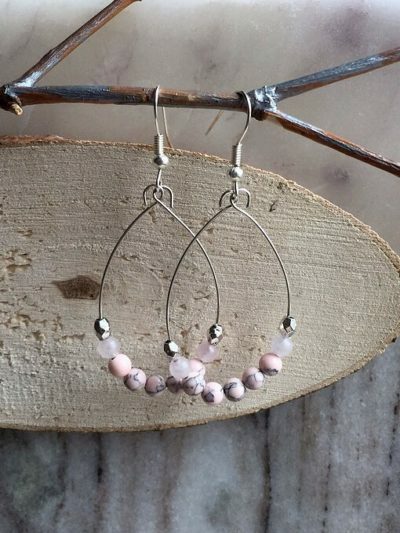 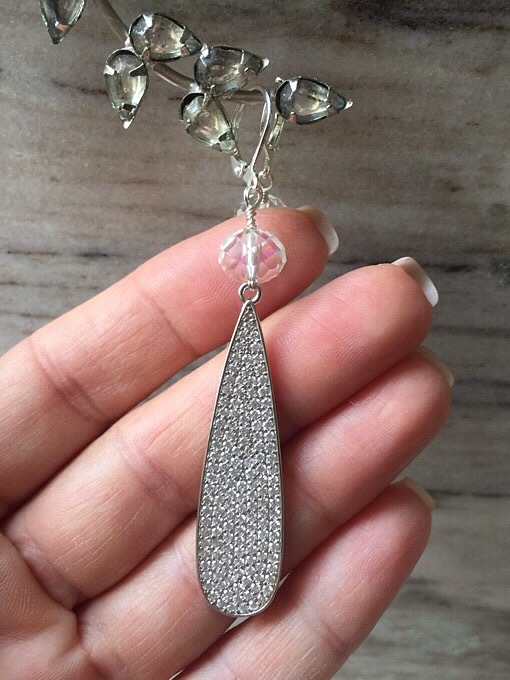 The design components are large clear faceted crystals, silver plated pave teardrops and silver plated earring hooks. 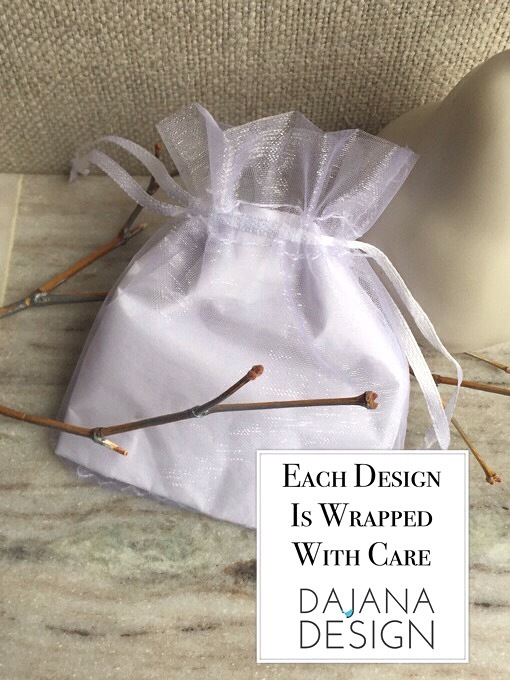 Thank you kindly for visiting my handcrafted designs. 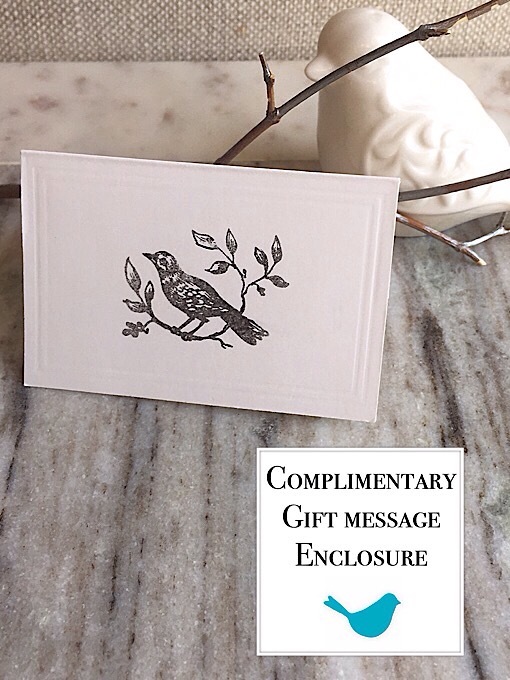 Gift boxes available at checkout step.